What an absolutely beautiful summer we’ve had here in Toronto! Plenty of sunshine and heat – a much needed break from the otherwise crispy weather we are quite accustomed to. Though there is still ample of time to bask in the season’s warmth (so I’d like to believe), many of us teachers are beginning to prepare for the new school year ahead. As we all know, the first week of school can sometimes be quite nerve-wrecking, filled with newness and a degree of uncertainty (for teachers and students alike). Establishing firm rules and consistent routines is on every teacher’s immediate agenda. To the same degree however, September is a time of pure excitement and renewed optimism as we get to know our new students and gear up for lots of learning and fun together. Admittedly, this year is especially exciting for me, as I move to teach grade 2. Though I will dearly miss my Kindergarten students, they will be just across the hall from my new room (yay to visiting them often). Regardless of grade, I like to begin every school year by setting a communal tone in the classroom. After all, if we are to successfully work together for the next ten months, we need to respect and value each other, similarities and uniqueness all the same. With the goal of establishing a sense of togetherness, celebrating individuality and getting to know each other, while easing into a new school year together, I have prepared a few Back-to-School activities. You are more than welcome to download the resources for your personal use in the classroom by clicking the Back-to-School image on the bottom of the post. Someone Like Me – On the first day of school, ask students fill out the sentences on the Someone Like Me template. Then invite them to walk around the room and find classmates that share the same responses. Encourage children to write their friend’s name on the space provided, but be open to allowing them to have their friend write it out for them (this will help lessen the anxiety for those kids who are not yet able to). This serves as a great ice breaker and gets the kids interacting. My Friendship Promise Student Template – As a class, begin a discussion about the roles and responsibilities of students and teachers in creating a fun and safe classroom environment. As part of that discussion, brainstorm qualities of a good friend and invite students to reflect on why this would be especially important as we begin a new school year together (and of course, all the time). You may want to write some of these ideas down on chart paper for students to reference as they fill out a personal Friendship Promise. Following their writing responses, invite students to have fun creating a mini-me template, adding hair, arms, and legs. Join the templates together and post them around the room so they can easily be referred to during the year. I also like to have a few spare copies around, for students who join the class later in the year. The Same But Different – As a class, brainstorm ways in which we are all the same (i.e., we all have feelings, we all have needs, all in same grade/class, etc.). Then discuss what makes us all different and unique as well (i.e., we have different thoughts/opinions, different names, likes/dislikes, etc.). As a culmination of this discussion, invite students to depict these similarities and differences, via writing and/or pictures. Get to Know Me – Have students fill out the template Get to Know Me. Each day, invite 3-4 students to share something about themselves with the class. After each presentation, encourage students to ask questions as a way of getting to know one another better. Alternatively, you may want to divide students into pairs and ask them to take turns sharing some things about themselves with their partner. Instruct students to learn at least one or two things about their new friend to later share with the class (i.e., This is Josh. He has a hamster for a pet and he loves cherry pies). Classmate Word Search – Fill out the blank grid with all your students’ names and have them work in pairs (or independently) to find all their classmates names. If there is enough space, you may want to include your name, as well as other teachers that will work with your students this year. This is a a nice activity to use toward the end of the first week of school, since the class list will be more up to date by then and won’t leave anybody out. Team-Building Challenge – Divide the class into groups of 3 to 5 students. Provide each group with a bin of random objects and have them work together to build a free standing structure. Tell students that you will be observing them and taking notes as they work together, but be somewhat vague about how you will pick the winner (shhh, it will be a surprise). Most students will likely assume that the highest structure will win the challenge, but the ultimate goal of this activity will be to see which group can work together best as a team, supporting and including one another. As a reflection, discuss things you saw and heard as you walked around the room and begin a chart on effective teamwork strategies (more ideas can be added to this chart throughout the year). To download a free copy of the above templates, for your personal use in the classroom, click on the image below. Books have always been my favourite way to springboard discussions and facilitate activities. There are many wonderful Back-to-School favourites among my collection of September reads. Since it would be difficult to list them all, here are some of my recent findings, among them my new title, Words. I hope you enjoy them. Feel free to let me know of gems in your own collection. How can there be homework when it’s only the first day of school? 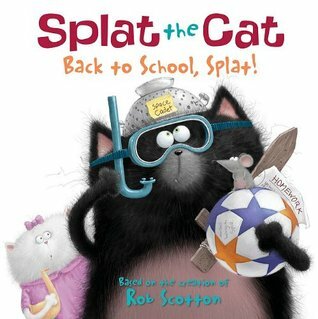 Splat must pick only one of all of his fun summer adventures to share with his classmates at show-and-tell. But in the end, Splat may find that the best part of his summer wasn’t an adventure at all. His sister’s first day of school is Tom’s last day of true independence. On her first day of kindergarten, Alice isn’t really that nervous at all. 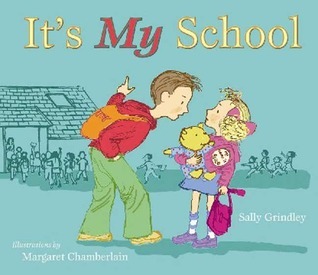 It’s her brother, Tom, who is upset — in fact, he’s downright mad It’s his school, and why should he have to share it with his annoying little sister? 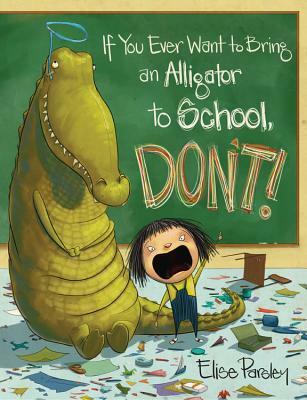 For any family dealing with first day nerves, this bright and reassuring picture book will help ease the transition into school — both for new students and their older siblings. Cassandra’s stories about second grade are so exciting that her mother wished she could be a student again. This wonderful classroom has singing, playacting, math–even a rabbit named Lopsy. But nobody’s mother is in second grade! Cassandra’s mom–who has even saved her old lunch box–to do?It is Cassandra who thinks up the perfect disguise for her mother, and she sets off for school one morning with a beautiful…plant. What do plants and mothers have in common? 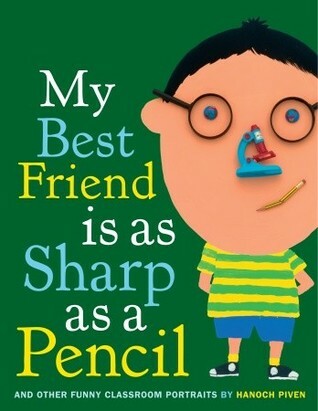 More than you’d think, as this wacky and endearing tale shows! 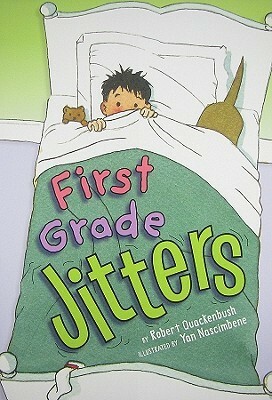 Here is the story of a young boy who is about to enter first grade and doesn’t know quite what to expect. Will his friends be there? Will he have to know how to read and spell? What if he can’t understand anything his teacher says? Looks like a case of first grade jitters! Note to self: If your teacher tells you to bring something from nature for show-and-tell, she does not want you to bring an alligator! But nothing will stop Magnolia, who’s determined to have the best show-and-tell of all–until her reptilian rapscallion starts getting her into some major trouble. Now it’s up to Magnolia to find a way to send this troublemaker home–but what could possibly scare an alligator away? Arr! 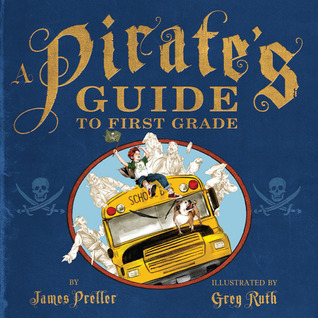 It’s the first day of first grade, and it’s all hands on deck for a young pirate and his crew. How much trouble can they get into? What will they do at recess? And, most important, what treasure awaits them at school? When Oliver finds a little lost dog he makes his first friend in the big new city. A stunning new book from Claire Freedman and Kate Hindley. 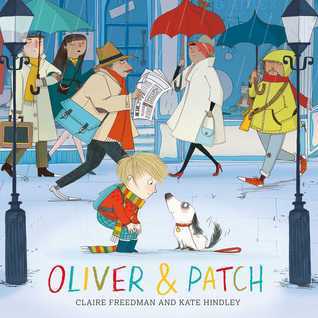 Oliver is finding the big city a lonely and scary place but when he finds a little lost dog he makes his first friend in the city. The trouble is, he knows that somewhere out there someone is missing the little dog just as much as he is loving having him, So, with a heavy heart, Oliver sets about doing the right thing. A beautifully told story with a lovely, uplifting ending. 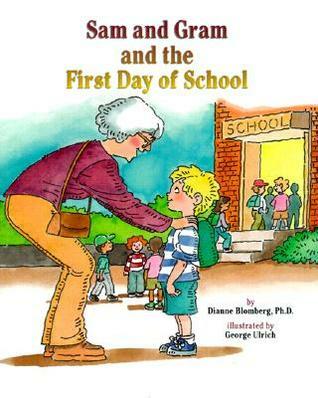 Gram helps Sam get ready for his first day at school. The story takes the child hour-by-hour through a typical first day at school, so that the child will know just what to expect on his or her own big day. 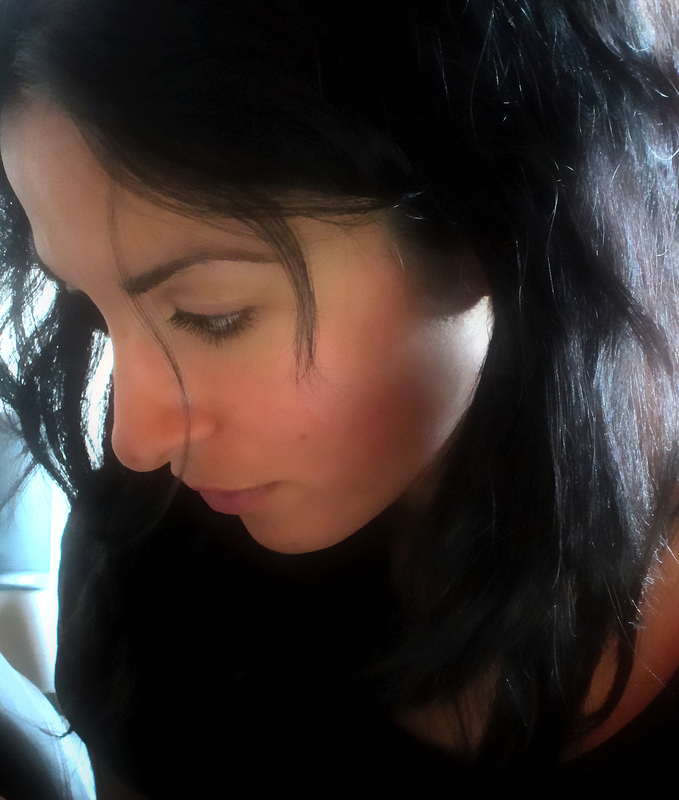 There are two special sections – Things To Do and Things To Talk About. Here’s the perfect back-to-school gift for budding artists. Like the creator’s previous picture book, My Dog Is as Smelly as Dirty Socks, this picture book encourages children to be creative and make their own object portraits. It’s a fun activity for home or for the classroom. Learn how to create a funny librarian, a colorful art teacher, or your best friend by seeing how one girl does it in this simple, playful picture book that’s comprised of portraits made of objects. Once the girl has talked about—and drawn—the key figures in her school, she ends with the pièce de résistance—a class portrait! In this emotional and highly visual picture book, a lonely letter sets off on a journey to find meaning. As it encounters various letter combinations, it is confronted by two distinct paths and must make an important choice. Readers of all ages will be captivated by this simple, yet high concept, rich story that explores universal themes of discovery, relationships and the need to belong, with an underlying message about bullying. Both timeless and original, Words is an evocative tale about how letters become words and words create meaning – meaning which could ultimately build or destroy. Have a wonderful week back everyone! Hello everyone. Hard to believe, but the summer months are drawing to a close. September is right around the corner and a new school year is about to commence. For us, teachers, it is that time again – setting up, organizing, preparing and planning for the year ahead. As we get ready to open our doors and our hearts to the newest treasures, I would like to share a poem I wrote, welcoming everyone on this great journey together. Feel free to download a copy of the poem and use it in your classroom – just click on the image below. One of the things I like to set up at this time of year is individual student portfolios. I designate a specific area in the classroom for showcasing each child’s work in a bulletin format. Throughout the year I make sure to add new writing pieces to each child’s portfolio, highlighting their growth and changes over the course of the year. It is always fascinating to see their progress, however big or small their steps may be. As an extension to the poem, Please Stay Awhile, I prepared an initial portfolio assignment. Toward the end of the first week of school, students will be invited (in small groups) to sketch a picture of themselves and write their name. Please note that this is not an assessment piece. It merely gives me an indication of where my students are at – a point of reference for each child’s starting point. It is also a great way for me to see what my returning SK students retained from the previous year. Perhaps the best use of this task is that it allows me to plan my program in a way to address whole-group as well as individual needs. Feel free to download a copy of the template by clicking on the image below. Happy Start-of-the-Year everyone. As always, your comments and feedback are most welcome. or visiting us on our Facebook Page. Please Stay Awhile by Lora Rozler is licensed under a Creative Commons Attribution-NonCommercial-NoDerivatives 4.0 International License. 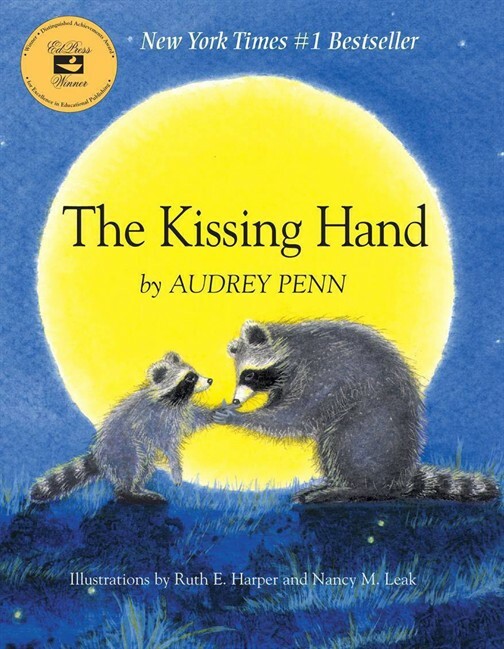 Audrey Penn is the author of this truly one of a kind story. When little Chester, a young raccoon, is scared to leave his mother and go to school, she gives him something that makes everything alright. She kisses his palm and tells him that the kiss will help make school as warm and nice of a place to be as home is. When Chester begins to feel lonely or scared, he presses his hand to his chest and feels the warmth of his mother’s kiss in his heart. This is one sentimental and heartwarming story that will help even the youngest child deal with changes they have to go through.